We are recruiting Prison Officers for various locations throughout the State. The Department of Justice collects and stores data and statistics, and produces a range of publications about corrections. "If you bring drugs to prison they will be found and if you take drugs you will be tested." That's the message from the Commissioner for Corrective Services Tony Hassall as he announced the results of another drug raid in one of the State's prisons. The Department of Justice is proud to celebrate National Corrections Day on Friday 18 January. This special day acknowledges corrections staff across Western Australia for their efforts in keeping the community safe and helping to rehabilitate offenders. In the 2017/2018 financial year, the former Departments of the Attorney General and Corrective Services merged to become the Department of Justice. The Department produces a range of reports and publications, which included the inaugural Justice 2017/2018 annual report. 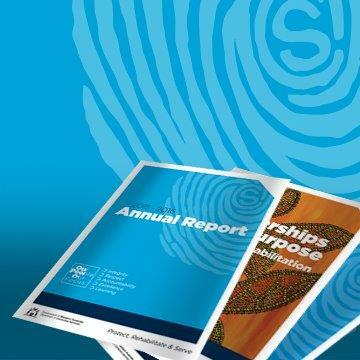 The annual report provides an overview of the Department’s operations and its compliance with policy and legislation. In line with State Government policy, the report is only available online. The Honourable Francis Logan MLA is the Minister for Emergency Services and Corrective Services. Select the map to locate one of our facilities,or choose one from the list below. View the budget infographic on the 2018-2019 Western Australian State Budget website.